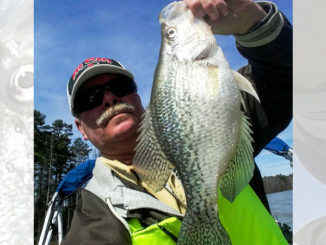 Cooler December weather drives crappie to deep brush piles and stumps in Shearon Harris Lake. Troll jigs or fish dropper rigs vertically for slabs of good quality. While December may be the time to hang up your Christmas stockings in anticipation of the holidays, it’s not the month to stow your fishing tackle if you want to catch quality crappie at Shearon Harris Lake south of Raleigh, N.C.
“December offers the opportunity to catch stringers of crappie from 10 to 12 inches with the possibility of reeling in some of the biggest fish of the year that will eclipse the 2-pound mark,” said Joel Munday of Outdoor Expeditions Guide Service. 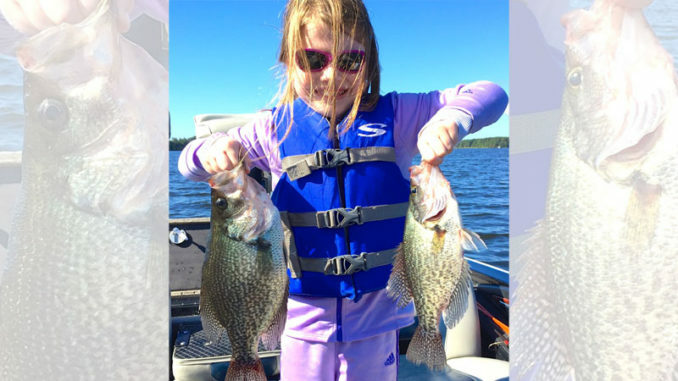 Though December crappie fishing can be rewarding, Munday (919-669-2959) said it’s also a tricky time of the year to locate fish because of changing weather patterns that move the fish about. 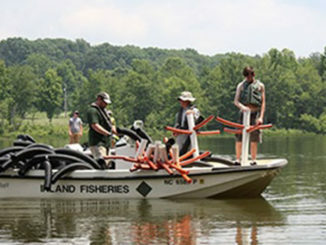 When the fish are in 20 feet of water or less, Munday slow-trolls at 1 mph with an array of rods mounted on the sides of his boat to sample various depths. His jigs range from 1/16- to 1/4-ounce. 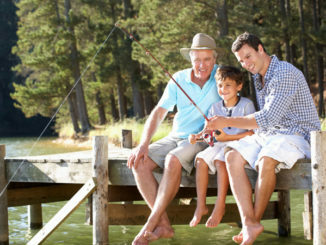 “I’ll fish the smallest-size jig I can get away with once I locate the fish,” said Munday, whose color choices include John Deere green, white, electric chicken and chartreuse. His tackle consists of medium/light to medium-action 13 Fishing spinning rods paired with 13 Fishing Creed GT spinning reels holding 8- to 10-pound line. Munday said crappie can be found anywhere there’s forage, but he favors the lower portion of the lake. When cold weather pushes the crappie deeper than 20 feet on main-lake points, Munday switches to live crappie minnows, using a dropper rig with monofilament for the main line and fluorocarbon line for a leader with a No. 1 Aberdeen hook for the bait holder. His sinker weighs 3/8- to 1/2-ounce; the weight selected is determined by the water depth and wind. Munday’s electronics play an essential role for targeting deep fish and their suspended depth and finding them in conjunction with forage. Harris is a fairly stable lake in respect to water level and water clarity, so those factors aren’t as important as they are on other lakes.